Being heavily pregnant, more often than not I find myself feeling uncomfortable in some way or another. Ed tries his best but sometimes you need the professional touch. When I came across Charmaine Sala’s Facebook page and read the glowing reviews for her pregnancy massage I knew I had to have one. Charmaine is based in Basingstoke, but she regularly comes back over to the Bournemouth area, which meant that I was able to have a home appointment on Saturday morning whilst the kids were away at legoland and Ed was off at the gym, leaving an unusually quiet environment for Charmaine to work her magic. From speaking over chat to our first meeting, Charmaine put me at ease and after a few minutes of her being at the house I felt I had known her for ages, she just has a way of making you feel relaxed. 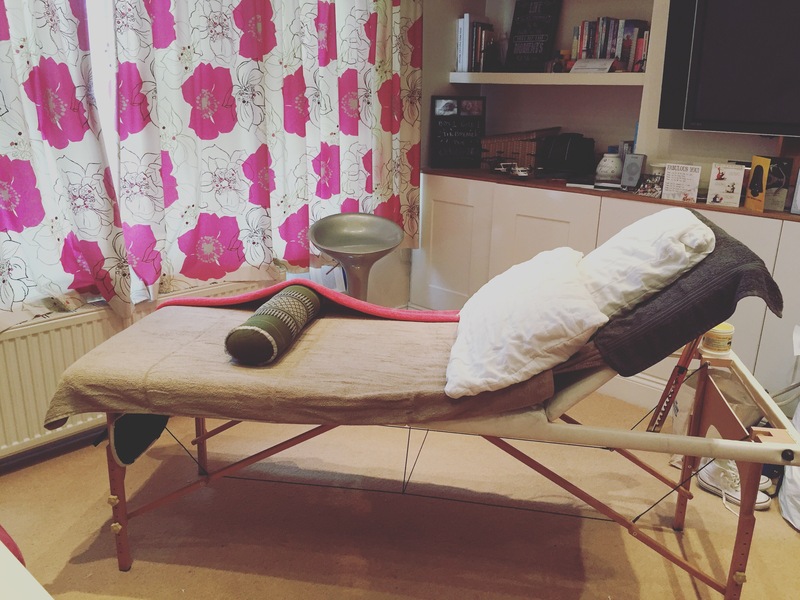 Charmaine expertly set up her massage table and covered it with a sheet. She asked for a couple of bed pillows and then went to wash her hands whilst I went down to my underwear and laid on the table under a towel. Charmaine brought along a CD player and put on some relaxing music. Starting at my head and working down to my neck, shoulders and arms, by the time Charmaine reached my feet and then back up my legs we were chatting away like old friends about work, babies, boyfriends and life in general. Charmaine is truly such a lovely person. I moved onto my side and Charmaine massaged my back to finish. By the end I felt so relaxed and pampered, I almost forgot I was still at home as Charmaine managed to create such a calming environment in my front room. After a few more minutes relaxing, I dressed and Charmaine packed her equipment back up expertly and left me to rest with instructions to drink a glass of water and layer up as you can feel cold after a massage. The whole experience was brilliant and I would highly recommend Charmaine’s pregnancy massage to anyone else in either the Basingstoke or Bournemouth/Poole area who are expecting. As well as pregnancy massage, Charmaine also offers deep tissue massage, gel nails and baby massage classes (which I will definitely consider after baby is here). She is also training to be a Doula, so if you are planning on having some one to one support during pregnancy and birth in the future, Charmaine will be able to assist. To have a look at the full range of services Charmaine offers, check out her Facebook page here. Charmaine very kindly provided a full body pregnancy massage free of charge for the purpose of review, however, all views are entirely my own – Charmaine truly is that lovely!